Thank you for your response and confirmation of your availability. About Me: Black Stage Studio is a digital media strategist, Moving Picture Producer, Video Editor, Photographer, Videographer, Video Artist, Interactive Designer & Illustrator. Also i specialize in landscape and night-sky photography, motion-controlled time-lapse, and creative dSLR film-making. I also hold private and group workshops and classes, as I love to teach other people how to achieve their creative photographic vision. Here's our company's website blackstagestudio.net for your review . I really feel I need some assistance at this time that's why I need someone who can work with me hand in hand throughout the production period. We are presently working on a short film which I'm directing the production aspect, although work hasn't commenced and we should start working on the film in next 20 days. 8.Delivering film to various locations and helping move equipment,Taking care of Financial activities. 9.Post-Production-Editing,digi tal effects,narration and voice over talent auditioning,casting and directing,audio and music selection and directing,troubleshooting. 10.Final media com-positing and production. 12.Managing extras in a scene, or locking down the set to make sure no pedestrians unwittingly amble into the frame, ruining the shot. Before our HR department reviewed your resume and gave their report I decided to consider you among the three applicants that will be on probation before i finally pick the right person as the Assistant to carry out some activities on my behalf.you need to be very honest because sometimes my personal or corporate items such as financial instruments or non financial items can be with you. In conclusion I'm looking for someone that can be trusted and reliable to work very well and with good understanding and i believe you posses those qualities.I have decided to offer you a probationary offer (trial period). Here i want to see how you will demonstrate your skills and how exceptional you are and how efficient and on time you will be. I will need you to perform a couple of tasks for me during this week, which are part of basic duties you will be performing when fully employed by me. Successful completion of the trial period qualifies you for an interview and temporary weekly wage for the trial period will be Six Hundred Dollars/weekly. And what they did later is that they sent checks. They had me deposit them into my bank account and when the money appeared on my acount they would tell me to transfer some of it to other bank accounts so they could pay employees and stuff. Well, guess what, even when money becomes available in your bank account the bank takes even weeks in realizing is fake and then you have to pay for it. This happens all the time the police told me and I had to pay for over two thousand dollars. Please, never accept checks and deposit them into your account. Never think that when money becomes available to you the check is real. Never agree to work for someone if you haven't met with them yet in their office. I hope this doesnt happen to anyone again. 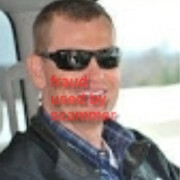 Mod Note: This post was made by the scammer himself in order to continue his scams. He is trying to keep what victims he may have. That is not true, i got employed there as a driver and till now i still work there, I drive them to there locations. *WARNING for all my Film friends who may be hungry for a PA job like me, and find themselves searching Craigslist. There is an offer for a Production assistant job that seems too good to be true from a TIMOTHY BROWN at [email protected] and perhaps affiliate emails. It gets fishy as the details come in. And if you don't feel like you're being pitched by Jake Gyllenhal in Nightcrawler in the emails, you should probably have some caffeine, and wake up. You will be offered the position without an interview, a phone call, or even a call to your references (which you will be asked for a few times.) You will be given a "trial period" yadda yadda, and then they send you thousands of dollars in checks without ever really talking to you. Those checks will clear in the interim with your bank, and you will be asked to transfer money to other accts for other employees. You will lose all of this money, and be on the hook for thousands of dollars that you were never paid. The checks are fake. I went along with the rouse for long enough to gather info, but thankfully I'm not a complete shmuck and didn't take any checks. Neither are you. So don't fall for this or a similar scam. *My apologies to anyone who has or is currently in the midst of falling victim to this scam, but help me spread the word so others don't share the same fate. Timothy Brown is the owner and creative director of Black Stage Films. Why work with Black Stage? Advertising and promotion is not "rocket science," nor is it a "magic bullet." It's a tool like any other. Common sense, consistency and controlled application will result in success. Established in 2001, by the experienced and talent of Director-Producer Timothy Brown, our goal at Black Stage Studios is to give our clients a choice. We can provide a full service agency experience with seamless and consistent promotional design, production, strategy and branding, or you can choose a specific service such as logo or advertising design, video or photographic production, writing, voice-over or a one time special event. Whether we produce a complete campaign or a single element, we always bring the same level of commitment and desire for excellence to the table. As "black stage" we have fun with the creative process and with our clients, which results in great creative collaborations and superior media. Telephone number +1 (805) 366-3979 was previously used on another fake website elitecastingstudio.com which was registered in June this year and has now had its registration cancelled by the Registrar. The photograph is actually stolen from another website. I just recieved the following email from "MR. Brown". Thank you for your interest. I received your resume in response to my recent job posting for the position of Production Assistant. As you know, we are looking for a motivated individuals to join our pioneering team of skilled experts and we would like to extend an offer to you. We believe that having you work alongside with us would be beneficial to you, our company and to the community. Your resume caught my eye quickly, and it stood out from the crowd. I’m very impressed viewing your resume. I believe you possess the essential qualities we are looking for and we are very excited . About Me: Post Time Media Studio is a digital media strategist, Moving Picture Producer, Video Editor, Photographer, Videographer, Video Artist, Interactive Designer & Illustrator. Also i specialize in landscape and night-sky photography, motion-controlled time-lapse, and creative dSLR film-making. I also hold private and group workshops and classes, as I love to teach other people how to achieve their creative photographic vision. 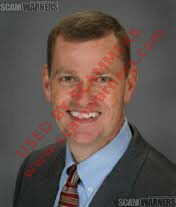 Here's our company's website http://www.posttimestudio.com for your review . I really feel I need some assistance at this time that's why I need someone who can work with me hand in hand throughout the production period. We are presently working on a short film which I'm directing the production aspect, although work hasn't commenced and we should start working on the film in next 18 days. Before our HR department reviewed your resume and gave their report I decided to consider you among the three applicants that will be on probation before i finally pick the right person as the Assistant to carry out some activities on my behalf.you need to be very honest because sometimes my personal or corporate items such as financial instruments or non financial items can be with you. In conclusion I'm looking for someone that can be trusted and reliable to work very well and with good understanding and i believe you posses those qualities.I have decided to offer you a probationary offer (trial period). Here i want to see how you will demonstrate your skills and how exceptional you are and how efficient and on time you will be. I will need you to perform a couple of tasks for me during this week, which are part of basic duties you will be performing when fully employed by me. Successful completion of the trial period qualifies you for an interview and temporary weekly wage for the trial period will be Six Hundred and Eighty Dollars/weekly. Thank you! Enjoy the rest of your day! Needless to say that part in bold was very suspicious. So this scammer is still alive and out there trying to rip people off. I wanted to post and let others know to continue to be on the look out for this person as well as say thanks to those who already posted about this person. I probably would've gone along with it up until they asked me to deposit checks for them, but still it's nice to put an end to it before it starts. If the email address is different please post it. Your swift response is highly appreciated. 9.Post-Production-Editing,digital effects,narration and voice over talent auditioning,casting and directing,audio and music selection and directing,troubleshooting. Nick Leighton Films is a full service video production company. Services include creative, production, post production, in-house studio and a mobile production truck division. We specialize in all digital media with a focus on commercial broadcast advertising. In addition to commercial film and video, our body of work also includes training videos, corporate promotionals, sales & marketing videos and live event/concert production. We are a team of seasoned leaders who have produced award winning projects for more than 15 years and continually push the limits of creativity in an industry that demands excellence. We begin every project with a comprehensive discussion about your goals, budget, and deadline. We then collaborate with your team to develop a unique story, strategy and a branded message that fits your unique vision. Our creative services include concept development, storyboarding and script development. I really feel I need some assistance at this time that's why I need someone who can work with me hand in hand throughout the production period. We are presently working on a short film which I'm directing the production aspect, although work hasn't commenced and we should start working on the film in next 13 days. Thank you for letting me know that this is a scam. Its still this email address: [email protected]. Thanks for this post. I was contacted by the email a few days ago and gave information to them before finding this website and seeing it is a scam. I sent an email saying not to send me anything or contact me but if i were to get anything in the mail, how should I proceed?